I have always enjoyed surprising loved ones with a gift card to their favorite store for their special day. In years past we have been known to shuttle across town to snag a gift card on the way to an event. It seems that purchasing gift cards locally is becoming progressively easier and easier… even pharmacies are carrying a wide variety of them ranging from eating out to electronics stores! You can find them at the check out at your local “mart”, too. Online stores carry their own gift card and will gladly send your recipient an electronic version in the case of a time emergency. I have found an even easier way to purchase a gift card for that special someone. You don’t have to leave your computer chair or “website” hop to purchase multiples from different stores… check out Gift Card Mall. They make it so easy on you. Cards are sorted by occasion, brand, recipient or category. Know exactly what you are looking for? Type it in the search box and bam! it’s on your screen. Have you started thinking about graduation? I bet a graduate could find several items for college here! What about a spring wedding? They can snag something they forgot to put on their registry! My favorite gift card to receive is a Visa gift card. They have these in several patterns depending on the occasion you are giving them for. One OurKidsMom reader is going to win a $50 gift certificate from Gift Card Mall (winners choice)! This giveaway ended at 11:59PM EST on May 4, 2011. This post was written me and was not edited by anyone. The opinions expressed in this post are entirely my own and have not been influenced in any way. I received a gc in order to facilitate my review. I was not compensated for this post. The sponsor is responsible for prize fulfillment and will be shipping the winner(s) their prize(s).For more information please read my disclosure policy. I follow both of you on twitter and I tweeted! I’d love a Gap gift card! I would like to get my husband a gift card for Home Depot from GiftCardMall. I would love a gift card to Sears for my husband’s birthday! I would love the Visa giftcard, then I could go where ever I wanted! I entered the Chili’s giveaway. Like Our Kids Mom on FB. Like Gift card Mall on FB. The Visa gift card would be perfect! I’d love to get a Visa GC. Entered the Gift Card Mall at A Mom’s Take. Nothing of a surprise, but I’d go for a Visa. I would love a gift card to Nordstrom! TARGET or KOHLS for sure!!!! Ooh there are so many! Maybe Macy’s, H&M, Champs, or the food court! 🙂 Thanks so much for the chance! I think I’d choose a Visa gift card. I’d like a Target gift card. I’d like a gift card to Bed, Bath and Beyond. maybe Target? or old navy? I would get it for AMC Theatres. That would be for the whole family! I would pick a gift card to Starbucks. I would love a gift card to JcPenny or Aeropostale. I like Giftcardmall on fb! #1 Already subscribed to you by email! #2 Already subscribed to you by email! #1 Already subscribed to RSS feed! #2 Already subscribed to your RSS feed! Following both of you on twitter & tweeted! I would love a gift card to Sam’s Club! I’d love the Visa gift card! I would like a gift card to amazon. Like” Gift Card Mall on FB. I would love a gift card to Marshall’s! I entered the Pro Flowers giveaway. I entered the Cheryls cookies giveaway. I entered the Lenox vase giveaway. I’d choose a Visa gift card so I could use it anywhere. I would love to get a gc to Target! 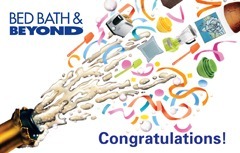 I would for sure love a bedbath&beyond giftcard! I would love to have a gift card to any clothing stores! I need new clothes since having my two boys. Not quite as small as I used to be! 🙂 Perhaps JCPenney, Express, Nordstrom’s, Kohl’s! I would love a gift card to Home Depot! I would like a GC to Best Buy. I liked you on Facebook. THANKS for the AWESOME GIVEAWAY!!! I liked Gift Card Mall on Facebook. THANKS for the AWESOME GIVEAWAY!!! I would love a Kohl’s gift card. i would love a kohls card! i’d love to spend the gift card on myself! I would buy myself a nice toaster. I would like a gift card from Walmart. I’d love one for JCPenney. I’d like a Home Depot. I like Gift Card Mall on Facebook as Ricky Todd. I love gift cards but I tend to hoard them LOL. I entered the Kalorik toaster giveaway. I would get a Bed, Bath & Beyond card!! I’d love one to go towards Bed Bath and Beyond. Please take this one off. I already did this. Sorry! 2 Subscriber by RSS FEED. Oh I would love the JC Penny gift card from the Gift Card Mall. What a fantastic Mother’s Day gift this would be for…. ME! Best Buy would be the first choice, just because we need to get our senior grad a computer somehow for fall classes! LIKE Gift Card Mall on Facebook! Entered your Tassimo T20 giveaway! I have a 15 year old so I don’t get much for myself anymore. I wouldn’t even know where to begin to wish for a card to. Lol. You have teenagers. You know what I mean right? I don’t get much beyond what I have to have. I would have to sit down and dream before I could choose a place to want a card to. Thank you for the chance though. This is awesome. Like Gift Card Mall on FB as well. Liked Gift Card Mall on Facebook as Audra Lynn W.
Omgoodness! There are so many to choose from! I would love to get one to Chili’s, or Cracker Barrel, or ColdStone! Or maybe a Visa one to join a gym, since I love food so much! LOL! I like GCM on fb. I get your emails #1. I get your emails #2. We’re getting a house soon, so could really use a Home Depot gift card! I’d love a gift card to Bass Pro Shops… they have the best fudge!!! I would love to get a gift card to Kohls! Thanks! Home Depot gift card. I’d spend it all on herbs, veggie plants and flowers!! I entered the Tassimo T20 giveaway! I’m not sure which one I’d pick…maybe Best Buy…Maybe JCPenney..There’s a few good ones there!!! I already follow your page! New fan of Gift Card Mall! I think I’d choose a Maggiano’s card – that’s our FAVORITE restaurant!!! I entered the Twilight giveaway. I entered the Pampered Chef giveaway. I would love a Visa to because you can use it for so many things…I love options. I would love a gift card to Old Navy! I’d like a gift card to Kohl’s. 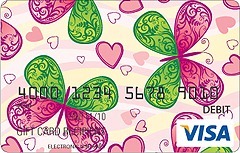 I’d love a Visa gift card! Follow @ourkidsmom and @GCMall on Twitter @JalapenoMama and a daily tweet. Entered your Vera Bradley giveaway. Entered your Pepto Bismol giveaway. Entered your Pepto giveaway too! Entered your Hayneedle heartmonitor giveaway too! Entered your Eat Smart Precision Retro Kitchen Scale giveaway. Entered your Xtrema Ceramic Sauce Pot giveaway. Entered your Tassimo Brewbot T20 giveaway. Entered your Cheryls Watering Can Cookie Bouquet giveaway. Entered your Truth Be Told giveaway. Entered Cinco de Mayo party pack! I entered the giveaway at A Mom’s Take. I would love to use a gift card to DownEast Basics in our Mall or maybe Maurices! Entered at A Mom’s Take! Cabella’s would be a fun store to get a gift card to, especially since camping season is upon us. Entered your Logitech HD Pro Webcam C910 giveaway too! I could use a Home Depot Gift Card. I would like to have the gift card for amazon! Thanks for the giveaway! I’d love a Visa gift card. I’d choose a Gift Card to Best Buy. Thanks so much. id like the visa gift card, so i can use it anywhere! thanks for the g reat giveaways! I’d love a gift card to TJ Maxx–I LOVE that place !! I entered at A Mom’s Take also. I entered your Western Union giveaway. I would love a Visa gift card. This way I could use it at my local grocery store. I entered the Western Union giveaway. I would just choose a Visa gift card so I could go to a lot of different stores. I’d love a card to Sephora. I entered the Gift Card Mall giveaway at A Moms Take. 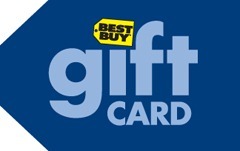 I would love a gift card from Best Buy. Thanks for the great giveaway! I follow OurKidsMom via Google Friend Connect: Amy G.
#1 I subscribe to OurKidsMom by Email. #2 I subscribe to OurKidsMom by Email. I’d love to get a gift card from Best Buy. I entered your 1-800-Flowers Giveaway. I entered your Cinco de Mayo Giveaway. I entered your Tassimo Giveaway. I entered your Jiffy Lube Giveaway. I entered the Western Union giveaway too! I entered the chilis drawing too! The Visa card or the Best Buy gift card would be great since I’m looking to get a new TV! I entered the Pepto giveaway. I entered the 7 products for Mother’s Day giveaway. I’d love a Forever 21 gift card. Entered Mother of all Giveaways. I would like a gift card from Chili’s, one of my favorite places to dine.